This guide explains how to enable single sign-on (SSO) for applications being proxied by NGINX Plus. 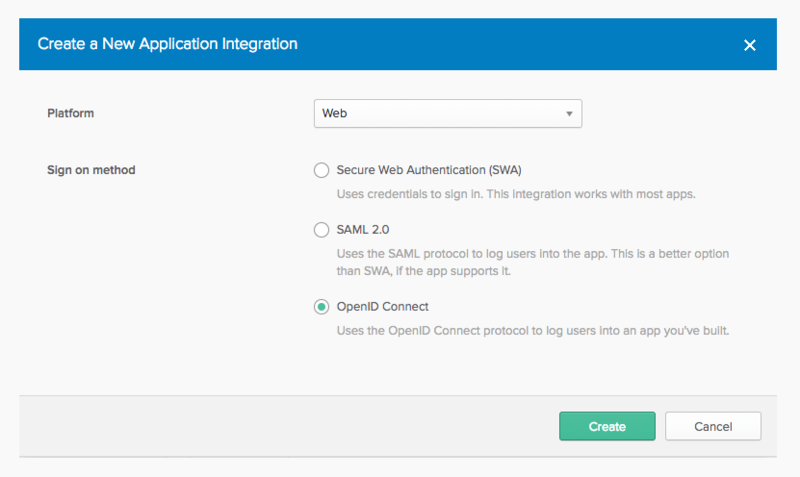 The solution uses OpenID Connect as the authentication mechanism, with Okta as the identity provider (IdP), and NGINX Plus as the relying party. 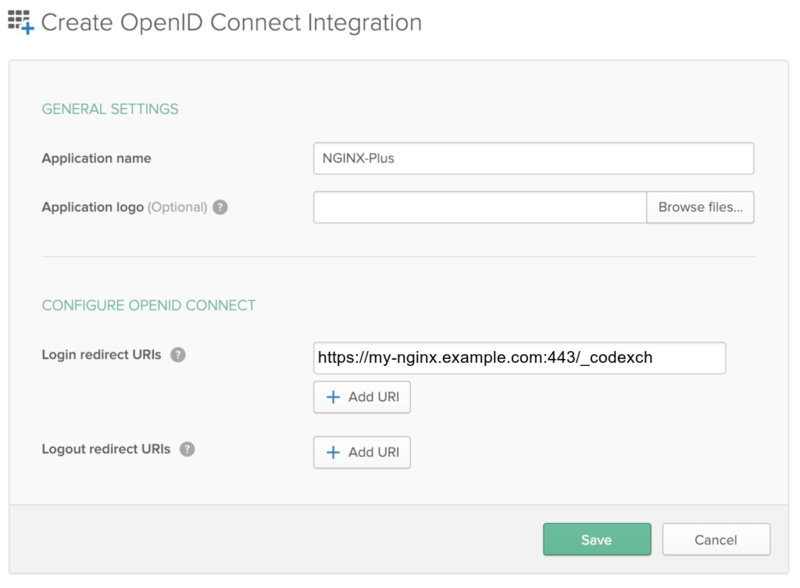 For more information about integrating OpenID Connect with NGINX Plus, see the documentation for NGINX’s reference implementation on GitHub. An NGINX Plus subscription and NGINX Plus R15 or later. For installation instructions, see the NGINX Plus Admin Guide. Note: The following procedure reflects the Okta GUI at the time of publication, but the GUI is subject to change. Use this guide as a reference and adapt to the current Okta GUI as necessary. 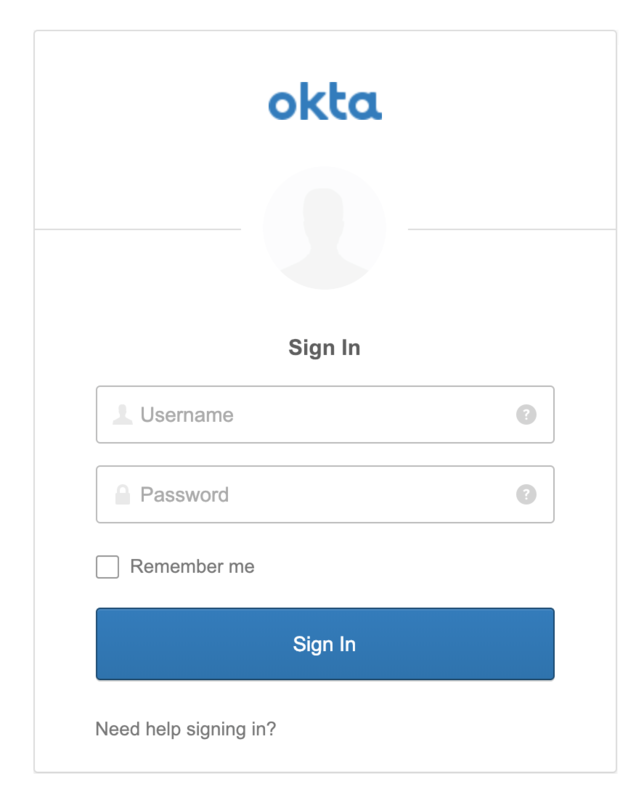 Log in to your Okta account at okta.com. Click your username at the right side of the banner, then Your Org on the drop-down menu. Click the Admin button at the right end of the banner. On the Add Application page that opens, click the Create New App button in the left navigation column. Application name – The name of the OpenID Connect relying party (Okta refers to it as the “application”). Here we’re using NGINX-Plus. Login redirect URIs – The URI of the NGINX Plus instance, including the port number, and ending in **/_codexch**. For production, we strongly recommend that you use SSL/TLS (port 443). Here the URI is https://my-nginx.example.com:443/_codexch. Note: The port number is mandatory even when you’re using the default port for HTTP (80) or HTTPS (443). On the confirmation page that opens, make note of the values in the Client ID and Client secret fields in the Client Credentials section (click the “eye” icon in the Client secret field to display the actual character string). You will add them to the NGINX Plus configuration in Step 4 of the next section. Navigate to the Applications page and click the Assign Applications button. On the Assign Applications page, select the relying party (the application from Step 7) in the Application column. In the People column, select each user and group who you want to enable to use SSO. Create a clone of the nginx-openid-connect GitHub repository. 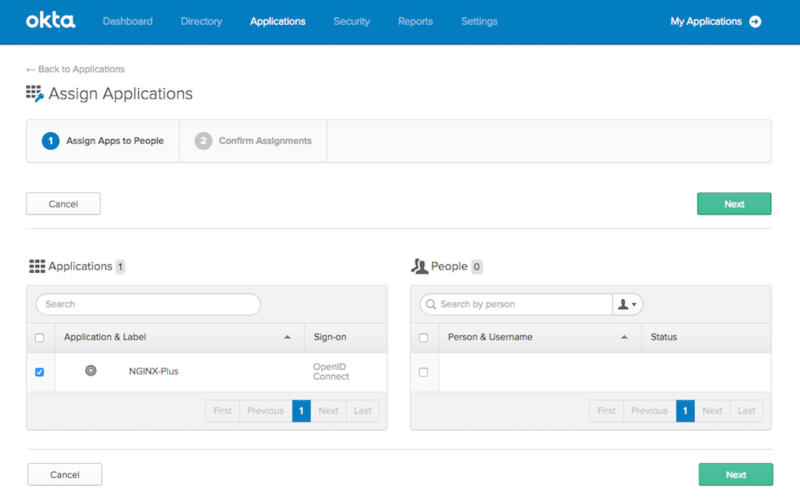 Get the URLs for the authorization endpoint, token endpoint, and JSON Web Key (JWK) file from the Okta configuration. Run the following curl command in a terminal, piping the output to the indicated python command to output the entire configuration in an easily readable format. We’ve abridged the output to show only the relevant fields. Configure the JWK file. The procedure depends on which version of NGINX Plus you are using. Comment out (or remove) the auth_jwt_key_file directive. Uncomment the auth_jwt_key_request directive and replace _jwks_uri with the value from the jwks_uri field reported in Step 2 (in this guide, https://<username>.okta.com/oauth2/v1/keys). Copy the JSON contents from the JWK file named in the jwks_uri field in Step 2 (in this guide, https://username.okta.com/oauth2/v1/keys) to a local file (for example, /etc/nginx/my_okta_jwk.json). In /etc/nginx/conf.d/frontend.conf, change the variable value in the set $oidc_jwt_keyfile directive to the local file path. Confirm that the user named by the user directive in /etc/nginx/conf has read permission on the JWK file. In a browser, enter the address of your NGINX Plus instance and try to log in using the credentials of a user assigned to the application (see Step 10 in Configuring Okta). See the Troubleshooting section at the nginx-openid-connect repository on GitHub.